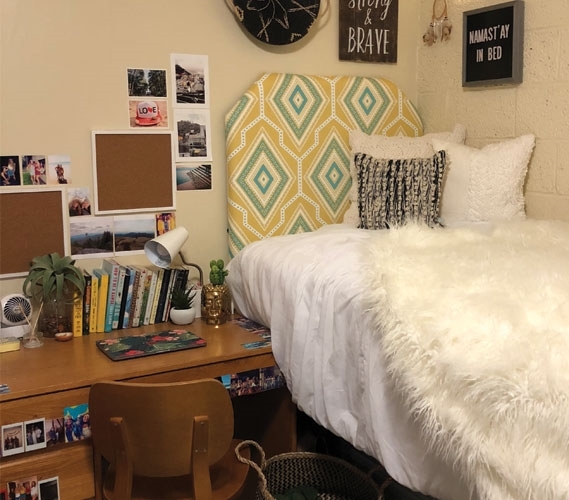 Some people might shy away from yellow dorm decor in fear that it might be too gaudy when added to their college dorm room. 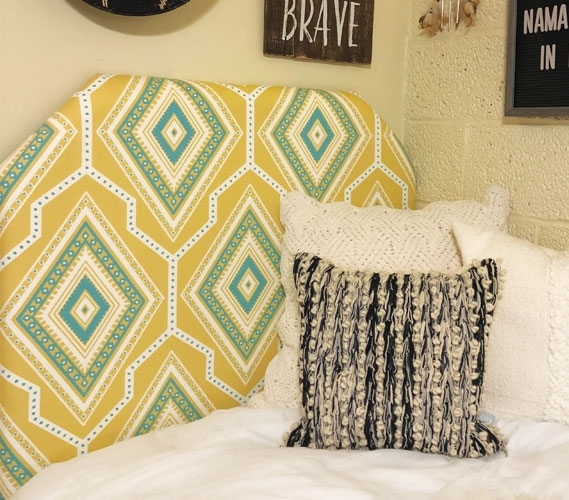 Fortunately, there are plenty yellow college items out there that will brighten up your dorm room without being too vibrant. 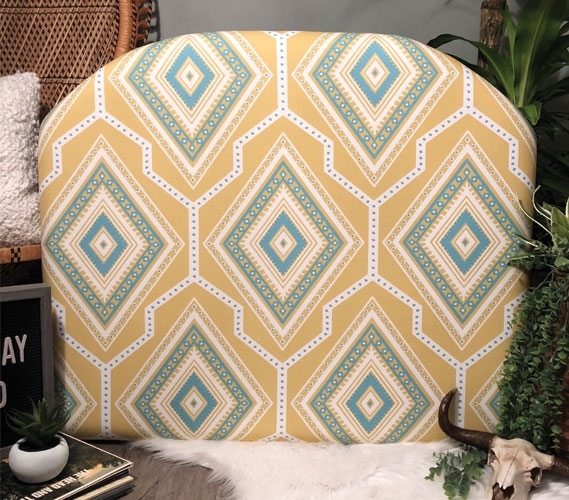 The Gita Yellow College Headboard uses a softer yellow to create a college decor item that will add the perfect amount of color to your dorm room! 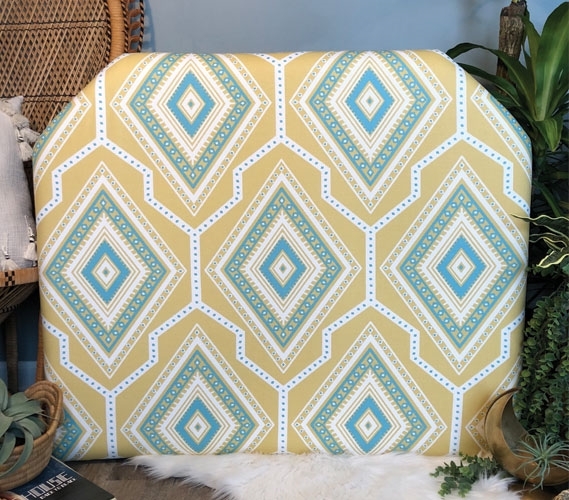 Complete with unique shapes and patterns, this yellow dorm headboard will give your Twin XL bedding a one in a million look! 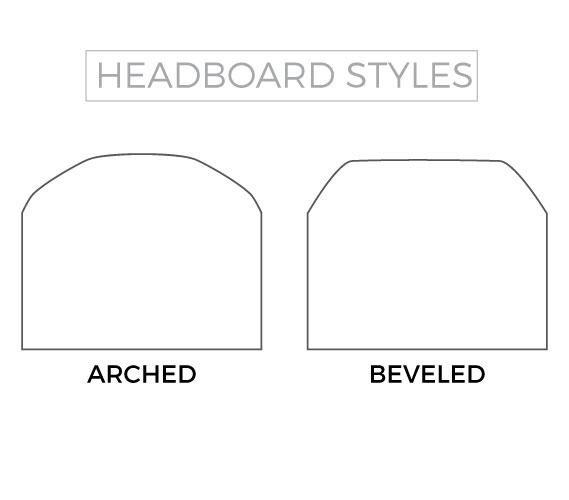 Due to the craziness that is sure to happen when it's time to move into your dorm room, we've made our college headboards easy to install. 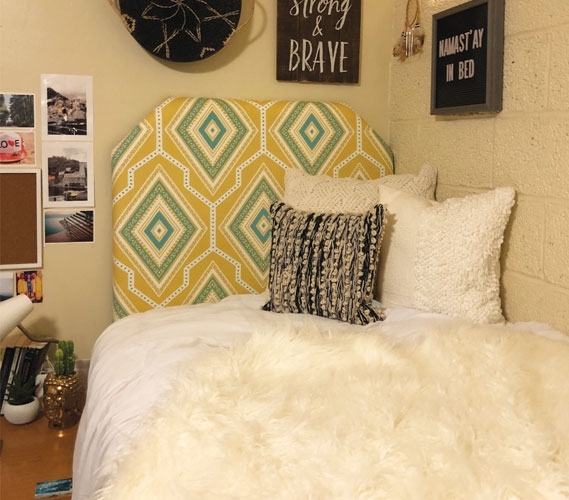 When you move into your college dorm room, simply attach your dorm headboard to your Twin XL size bed for instant style! 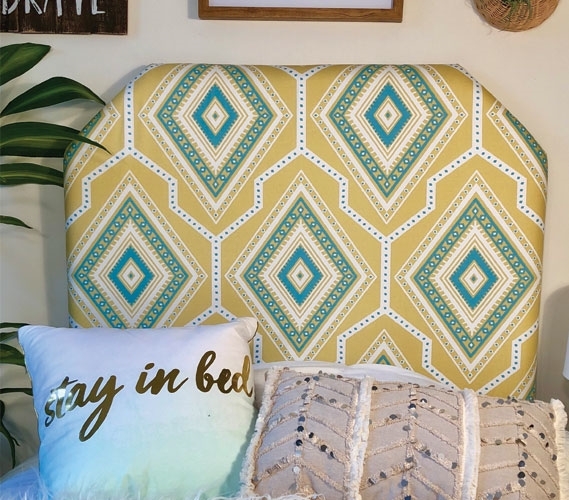 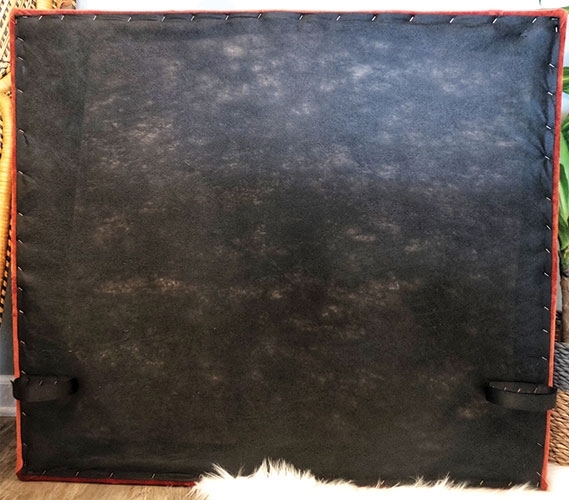 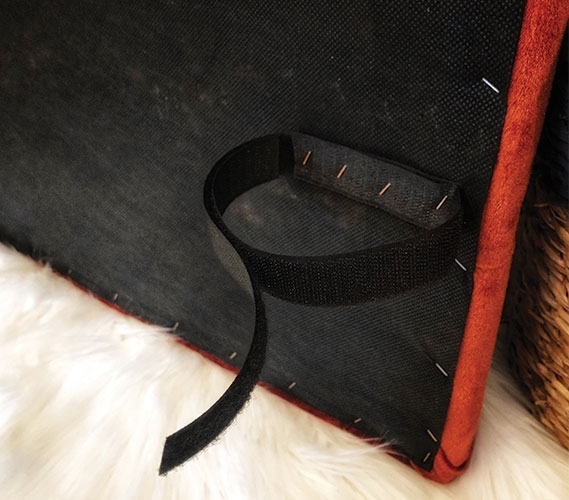 This unique college headboard also gives you a sturdy yet soft place to rest your back when you need it. 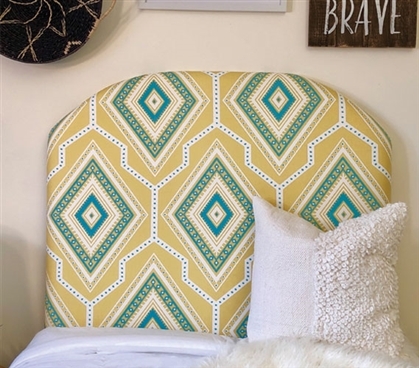 Lovingly handmade, this yellow college headboard will highlight your personality with its originality.